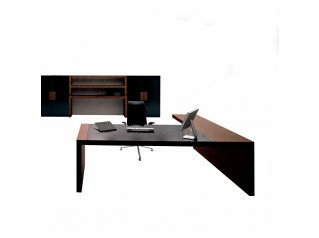 Vogue Executive Pink Desk is a unique and exciting offering from the Sinetica Design Lab, epitomising high quality executive office furniture. Lacquered in pastel pink, this director's desk bears the characteristics of the architect St. Petersburg. An alternative option to the traditional executive office desk, Vogue Pastel Pink Desk comes with distinctive metal frame and is available as a rectangular or L shaped executive office desk. Vogue Executive Pink Desks are also available in another 15 gloss or matt colour finishes to complement any prestigious interior: white, ivory, cream, dove grey, mustard yellow, olive green, grass green, moss green, pastel blue, night blue and marine blue. 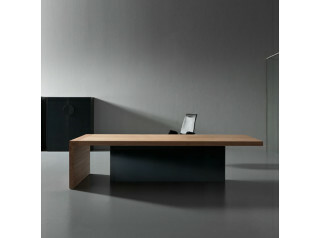 Cable management is an optional extra, as is the integrated keyboard extension shelf which can be placed on both sides. You are requesting a price for the "Vogue Executive Pink Desk"
To create a new project and add "Vogue Executive Pink Desk" to it please click the button below. 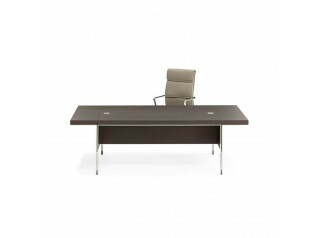 To add "Vogue Executive Pink Desk" to an existing project please select below.